Because Christians worshipped only one God, instead of the many gods of the Greco-Roman pantheon, the non-Christians took to calling Christians “atheists”. Coherence, facts, structure, and passion are a few of the things needed to present any idea. A balanced mix of these elements is important, but any deficiency or lack of balance is damaging if one wishes to put forth a convincing argument. I believe Seven Revolutions is a book that has most of the right ingredients in right proportions. Of course, there are no holy grail templates or perfect recipes for the art of persuasion, but this book tries as much as possible in putting forth its ideas in a captivating way. The authors (Mike Aquilina and James L. Papandrea) tell us that the modern culture at present resembles that of the pre-Constantine era where Christians were persecuted and seen as counterculture in their behaviour. Covert discrimination, public shaming, derogatory comments and decapitation are few of what modern Christians face today from militant secularists and radical Islamists. Rewind back to the first century and it was not a lot different for Christians of that era. Seven Revolutions lay bare the lies being circulated around that Christians are irrelevant today as they were in centuries past. However, the book claims nothing could be further from the truth as Christianity had always had a hand (a major hand for that matter) in shaping the western world. The Edict of Milan was raised by Constantine in 313AD to grant freedom of religion to all, not just Christianity. The authors backed their assertions with quotes from the leading authors of the first century (Tertullian, Celsus, Thucydides, Cyprian, Socrates, Origen, etc.) pointing to seven ways in which the Church brought change that forever changed the way we perceive some issues today. Equality, family, death, and work are some of the seven points listed in the book. Seven Revolutions is well-structured and made its arguments eloquently. It especially focuses on Emperor Constantine’s era and persuades us that though he favoured Christians, he did allow other religion to flourish as well. However, some might dispute this fact, given the fast rise of Christianity during the emperor’s reign and the political power the Church wielded from then on. There was a bit of repetition of same ideas twice or thrice in the book but this doesn’t detract much from the strength of its ideas. The authors show passion for the subject and they went a step further by stating how present-day Christians can bring in change in modern times, which I think, is the most valuable part of the book. Also, the use of language is simple and direct. Too many Christian apologists do go in the way of extremely formal and scholarly language but it is refreshing to see the authors do the opposite. 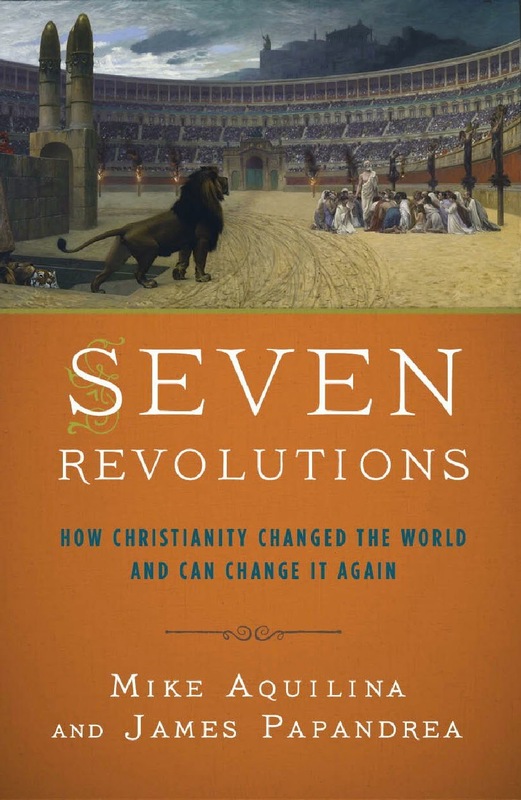 Seven Revolutions might not be everyone’s cup of tea, but it is a fine read nonetheless. Many thanks to Image Books for review copy. All images are © to their respective owners.